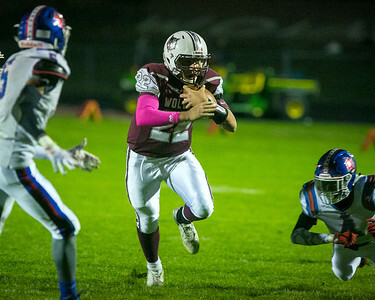 Daryl Quitalig - For Shaw Media Prairie Ridge quarterback Samson Evans (22) runs the ball to a touchdown in the first quarter of the football game at Prairie Ridge High School Friday, Oct. 20, 2017. Prairie Ridge won, 55-14, and finished the 2017 season undefeated. 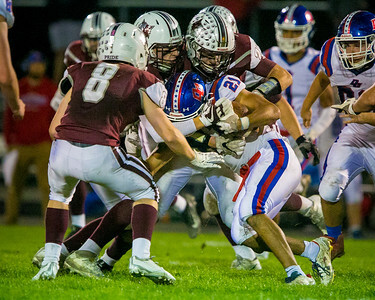 Daryl Quitalig - For Shaw Media Dundee-Crown running back Ricky Ibarra (21) runs into a pack of Prairie Ridge defenders in the second quarter of the football game at Prairie Ridge High School Friday, Oct. 20, 2017. Prairie Ridge won, 55-14, and finished the 2017 season undefeated. 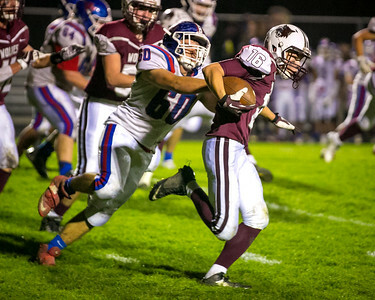 Daryl Quitalig - For Shaw Media Prairie Ridge's Jared Lindquist (16) runs the ball after an interception in the fourth quarter of the football game at Prairie Ridge High School Friday, Oct. 20, 2017. Prairie Ridge won, 55-14, and finished the 2017 season undefeated. 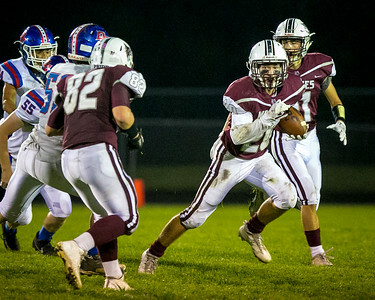 Daryl Quitalig - For Shaw Media Prairie Ridge's Justin Mikolajczewski (20) runs a 55-yard punt return for a touchdown in the third quarter of the football game at Prairie Ridge High School Friday, Oct. 20, 2017. Prairie Ridge won, 55-14, and finished the 2017 season undefeated. 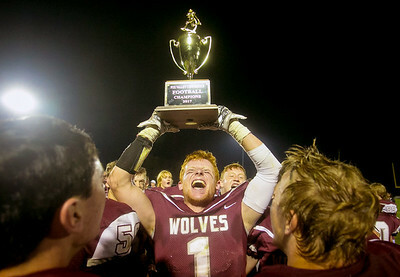 Daryl Quitalig - For Shaw Media Prairie Ridge's Drew Norton (1) hoists up the Fox Valley Conference Football Champions 2017 trophy after a 55-14 victory over Dundee-Crown at Prairie Ridge High School Friday, Oct. 20, 2017. Prairie Ridge finished the 2017 season undefeated. 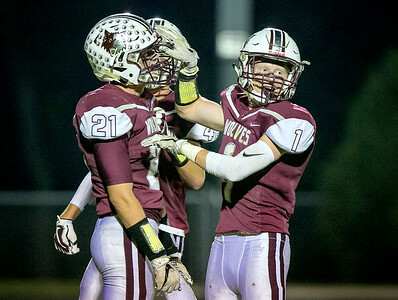 Daryl Quitalig - For Shaw Media Prairie Ridge's Drew Norton (1) celebrates Joe Perhats's (21) tackle-for-loss in the third quarter of the football game at Prairie Ridge High School Friday, Oct. 20, 2017. Prairie Ridge won, 55-14, and finished the 2017 season undefeated. 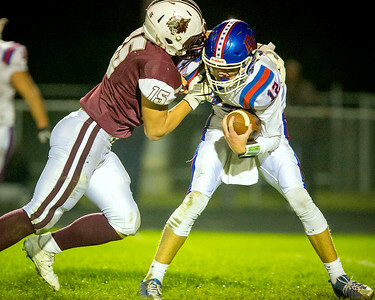 Daryl Quitalig - For Shaw Media Prairie Ridge Zach Orr (15) sacks Dundee-Crown quarterback Joshua Raby (12) in the second quarter of the football game at Prairie Ridge High School Friday, Oct. 20, 2017. Prairie Ridge won, 55-14, and finished the 2017 season undefeated. 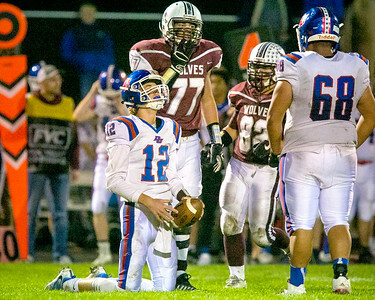 Daryl Quitalig - For Shaw Media Dundee-Crown quarterback Joshua Raby (12) reacts after being sacked in the third quarter of the football game at Prairie Ridge High School Friday, Oct. 20, 2017. Prairie Ridge won, 55-14, and finished the 2017 season undefeated. 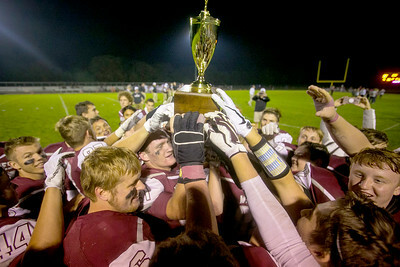 Daryl Quitalig - For Shaw Media Prairie Ridge jointly celebrate with the Fox Valley Conference Football Champions 2017 trophy after a 55-14 victory over Dundee-Crown at Prairie Ridge High School Friday, Oct. 20, 2017. Prairie Ridge finished the 2017 season undefeated. 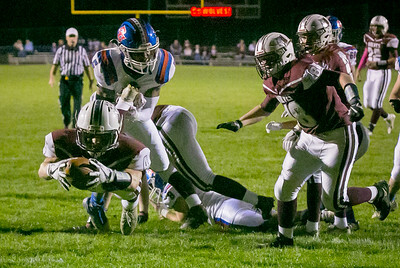 Daryl Quitalig - For Shaw Media Prairie Ridge running back Jackson Willis (4) dives for a touchdown in the first quarter of the football game at Prairie Ridge High School Friday, Oct. 20, 2017. Prairie Ridge won, 55-14, and finished the 2017 season undefeated. 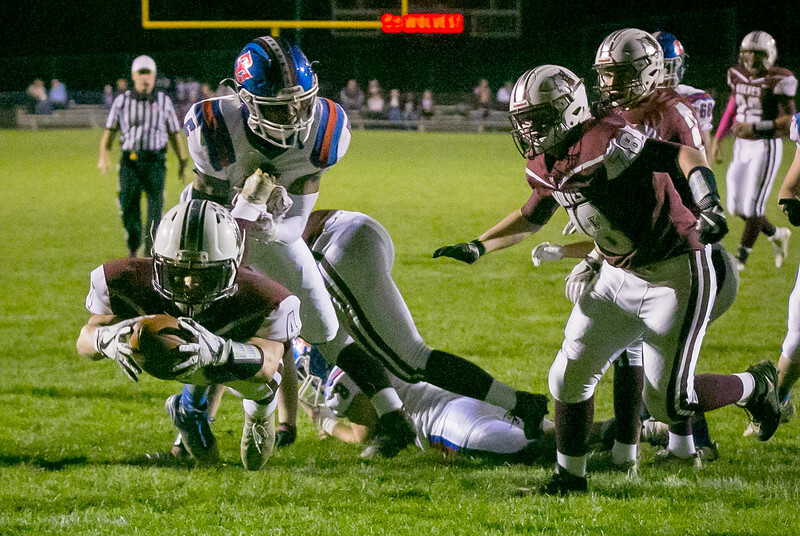 Prairie Ridge running back Jackson Willis (4) dives for a touchdown in the first quarter of the football game at Prairie Ridge High School Friday, Oct. 20, 2017. Prairie Ridge won, 55-14, and finished the 2017 season undefeated.